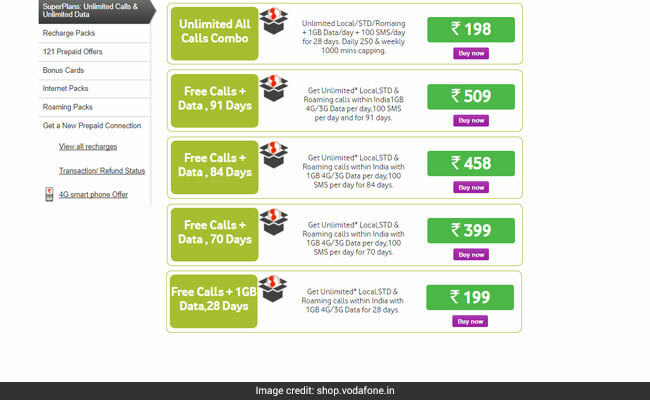 These prepaid recharge plans of Vodafone come with free and unlimited local, STD and roaming voice calls. Vodafone's Rs 458 prepaid recharge plan offers 84GB of 3G/4G data. 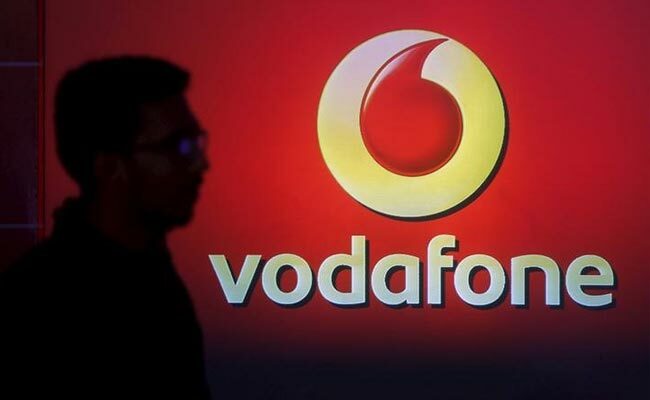 Vodafone recently revised its Rs 458 and Rs 509 prepaid recharge plans to offer more data and longer validity. Currently, Vodafone has a prepaid recharge plans priced at Rs 198, Rs 199, Rs 399, Rs 458 and Rs 509 that offer 1GB per day data with different validity periods. These prepaid recharge plans of Vodafone come with free and unlimited local, STD and roaming voice calls. According to the official website of Vodafone, the unlimited call is limited to 250 minutes per day calling and 1000 minutes per week calling. Vodafone's Rs 198 prepaid recharge plan offers 28GB of 3G/4G data for a period of 28 days with a daily cap of 1GB data. Customers also get unlimited local and STD voice calls and free roaming calls under this offer with a daily capping of 250 minutes and weekly capping of 1000 minutes. 100 free SMSes are also available with this prepaid recharge plan. The validity of this prepaid recharge plan is 28 days. Vodafone's Rs 199 prepaid recharge plan offers 28GB of 3G/4G data for a period of 28 days with a daily cap of 1GB data. Customers also get unlimited local and STD voice calls and free roaming calls under this offer. The validity of this prepaid recharge plan is 28 days. Vodafone's Rs 399 prepaid recharge plan offers 70GB of 3G/4G data for a period of 70 days with a daily cap of 1GB data. Customers also get unlimited local and STD voice calls and free roaming calls under this offer. 100 free SMSes are also available with this prepaid recharge plan. The validity of this prepaid recharge plan is 70 days. Vodafone's Rs 458 prepaid recharge plan offers 84GB of 3G/4G data for a period of 84 days with a daily cap of 1GB data. Customers also get unlimited local and STD voice calls and free roaming calls under this offer. 100 free SMSes are also available with this prepaid recharge plan. The validity of this prepaid recharge plan is 84 days. Vodafone's Rs 509 prepaid recharge plan offers 91GB of 3G/4G data for a period of 91 days with a daily cap of 1GB data. Customers also get unlimited local and STD voice calls and free roaming calls under this offer. 100 free SMSes are also available with this prepaid recharge plan. The validity of this prepaid recharge plan is 91 days.